Thank you for taking the time to look at our FOYFS web pages. Let us first introduce ourselves and tell you what we do. We are parents of children who attend the school, who meet regularly to help organise events to raise vital funds for equipment and to help improve the already excellent facilities for the children. We always consult the children when the school would like us to raise funds. The School Council are also coming up with ideas for equipment to help their learning. If you are able to help us out at the event then we would love to hear from you. Please contact us at foyfs@hotmail.com or leave your details with the school office. 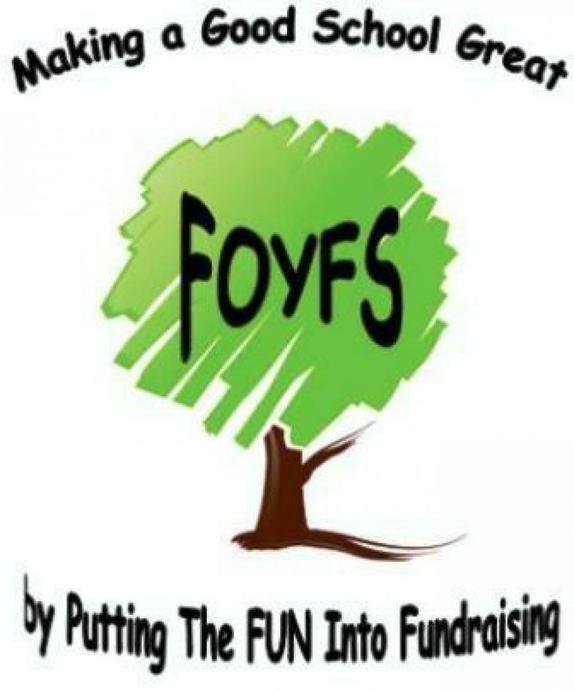 FOYFS appreciate all the support that we are given from parents and other organisations. We wouldn't be able to run as effectively as we do without YOUR VITAL HELP. Don’t forget our Easy Fundraising site which is an easy way to raise funds whilst you do all your online Christmas shopping – www.easyfundraising.org.uk/causes/foyfps every penny raised helps support our children. Signing up to this is free and an easy way to raise extra funds for the school when you shop online. Get the automatic reminder and/or app so you never miss out on an opportunity. Simply access a huge range of online retailers via the Easyfundraising site first to qualify for cash donation to the school. Do you work for a company who operates charity "match funding"? If so, we would love to hear from you as this can great boost the funds raised at events. Do you have any old games for the following consoles? PS3, X Box, Nintendo Wii, & Nintendo DS. Have you considered donating it to FOYFS? If so, please pass them into the school office. Do you have any old mobile phones? Have you considered donating them to FOYFS? If so, please pass them into the school office. Please remove the SIM card and all data before handing it in, thanks. FOYFS can be contacted via email foyfs@hotmail.com, leave a message in the school office or contact us via our Facebook page. Here are some of the events that we have organised and helped run, to raise funds for the school. This year FOYFS has helped in the setting up of the new Bright Stars CIC to provide affordable breakfast and after school care for the children. FOYFS has also paid for Commemorative Queen's Birthday coins for each child. Children have had trips subsidised to the sum of £5 per child. New water bottles for every child in Foundation so they can drink anywhere in the school when needed. The Y6 end of year production has been subsidised. We are always looking for new members to join in with fund raising ideas and help us organise these events. Many parents may have new ideas or may have special skills that we could 'tap' into! You only need commit to whatever time you can spare and don't need to sign up to a designate role on the committee. The more parents we have involved in what we do the wider our expertise and easier it is to put on events. If any of you feel that you have an idea, or if you can help in any way, please contact us via the school office.